The song has a lovely, lyrical tune. One of those that tends to stay in your head for a while. It expresses an appealing sentiment, too. One that seems noble. Admirable. Godly, even. Especially in these days of social media (and regular media) gone wild. Too bad it’s based on a lie. As alluring as it might be, the idea that God is Father to all people is not a biblical one. He is the Creator of all people. He loves all people. Peace does not and in fact cannot begin with me. It always and forever begins with God. 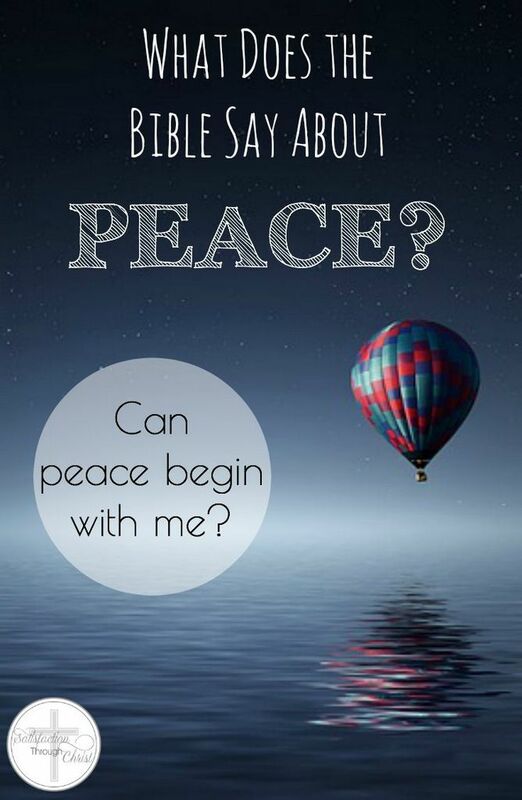 We cannot have peace apart from Jesus Christ. As I studied some passages in preparation for this post, I was amazed by how often peace is mentioned in correlation with righteousness. According to Scripture, the two go hand-in-hand. Because of Jesus, kindness and compassion can begin with me. But I cannot be at peace with someone who has positioned himself as the enemy of my Lord. To attempt it is to deny Him. In fact, since through truth people can be made aware of their sin and exhorted to receive the gospel, truth is the conduit of genuine peace and truth-telling is the ultimate form of peace-making. This is not an exhortation to the “peace” touted by the world – a silence that tolerates lies without presenting the truth. It’s a reminder of the Christ-follower’s calling to point people to the only Source of true peace: a relationship with God through Jesus Christ. This is a good word! I’m in total agreement. I’m sure you know how much I appreciate these words, Jennifer. But just in case – know that I’m encouraged to know I’m not alone in my thinking on this. These are the things that ye shall do; Speak ye every man the truth to his neighbour; execute the judgment of truth and peace in your gates: And let none of you imagine evil in your hearts against his neighbour; and love no false oath: for all these are things that I hate, saith the Lord.